Videotaped dragging his dead leg behind him, the posting to Karamells Cats got the attention of SCARS (Second Chance Animal Rescue Society). Videotaped dragging his dead leg behind him, the posting to Karamells Cats got the attention of SCARS (Second Chance Animal Rescue Society). 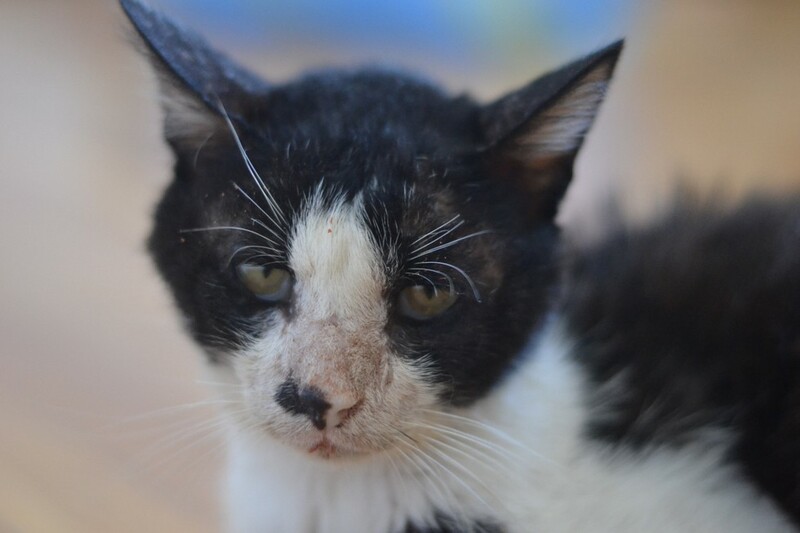 The stray was living in the northern part of Greece, but a volunteer brought the poor kitty to Athens where he was able to receive treatment. 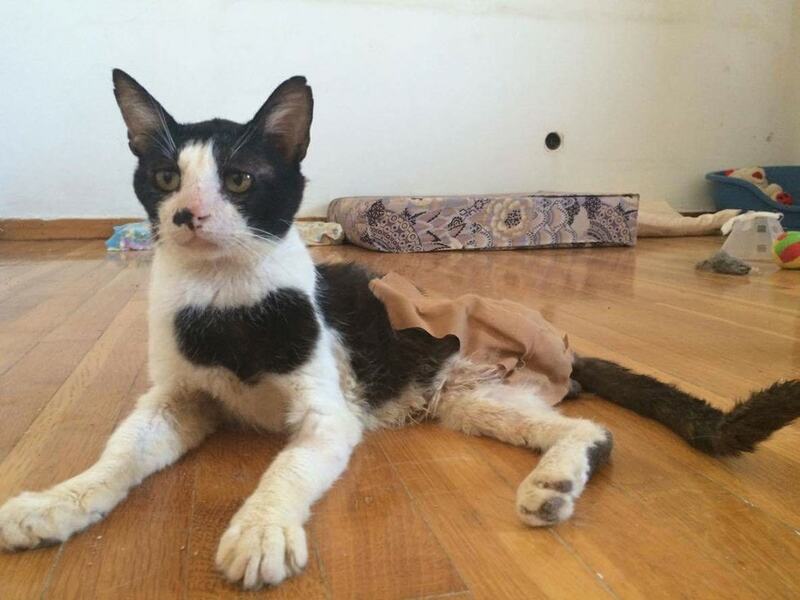 In addition to being covered in wounds and the attending vet found he had had a broken spine that had healed poorly on its own, pelvic bone that was stuck on the wrong position, and starving, in addition to the dead leg, but when he was strong enough to have his leg amputated, more was discovered. 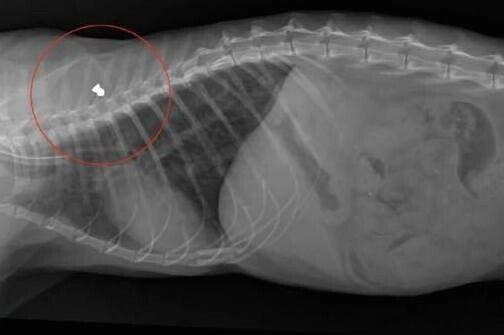 He had a bullet lodged in his leg. Frog, as he has been named, is slowly becoming the prince he deserves to be. 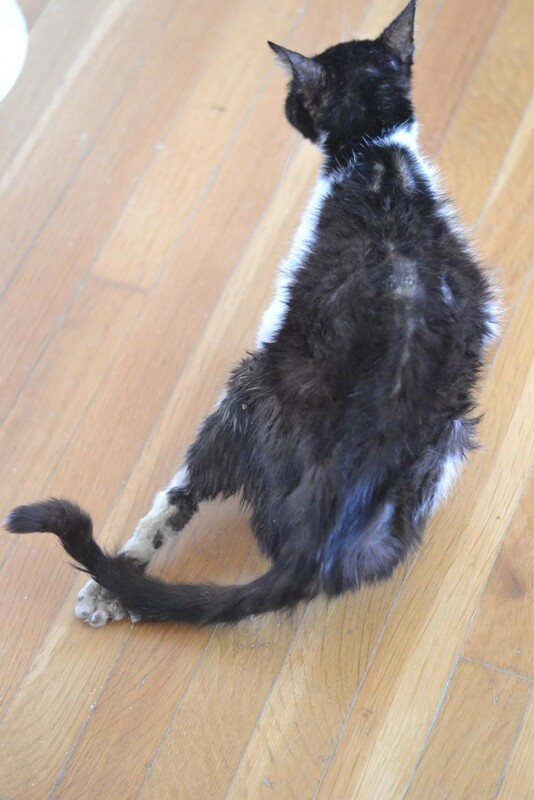 With on-going therapy and treatment, he is admirably learning to walk with three legs, and on the mend. 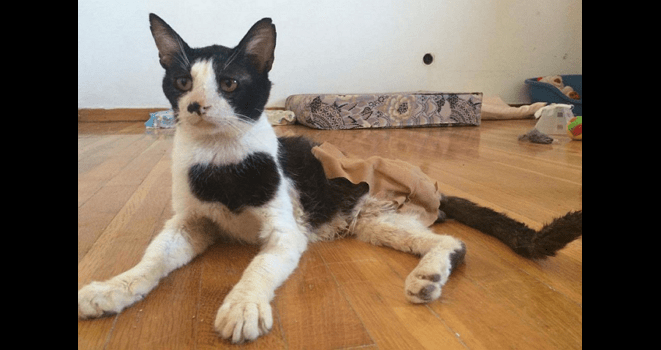 His whole story will never be known, but through the love and kindness of SCARS, and the posting of a video by a concerned woman to a site that drew attention to his plight, Frog is well on his way to having a better life. Thank you, Rose. Sometimes the best thing we can do, in any situation, is share this kind of information into the world at large. It may be that someone who does have the resources will see it and be able to provide more assistance. Passing stories along can be huge help for organizations such as these.